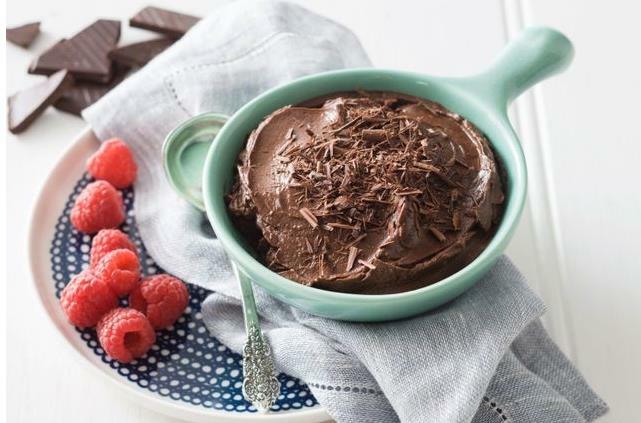 Attention health fanatics: this dairy free, avocado chocolate mousse is not only braces friendly but a great way to make sure the entire family is sneaking in those extra greens. Cut the avocados in half and remove the stone. Scoop the flesh into the large bowl of a food processor. Add the cocoa powder, vanilla, maple syrup and coconut cream. Process for 10 seconds. Add the cooled melted chocolate. Process for 10-15 seconds or until creamy and smooth. Spoon into serving glasses or dishes. Serve with fresh fruit.